The Tony Award-winning musical comes to London’s Dominion Theatre after its hit run on Broadway. 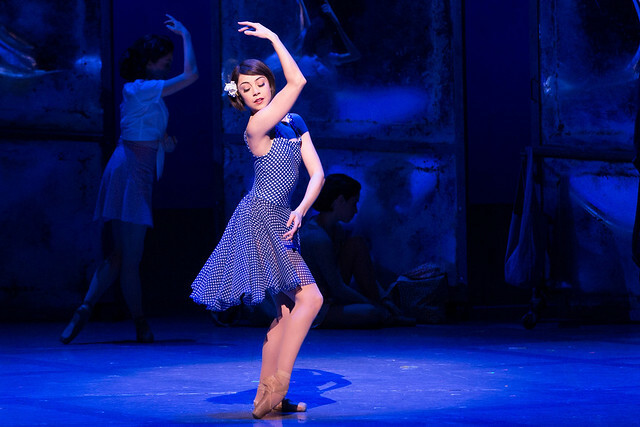 Choreographer Christopher Wheeldon’s Tony Award-winning musical An American in Paris will make its West End debut at the Dominion Theatre in March 2017. The stage adaptation of An American in Paris is based on Oscar-winning film starring Gene Kelly and Leslie Caron and features the music of songwriting brothers George and Ira Gershwin, including hits including 'I got rhythm', ''S Wonderful', and 'They can't take that away from me'. Former First Artist of The Royal Ballet Leanne Cope reprises her role as Lise Dassin for the London production alongside New York City Ballet Principal Dancer Robert Fairchild as Jerry Mulligan. The production had its world premiere at the Théâtre du Châtelet in Paris before moving to the Palace Theatre on Broadway, where it won four Tony Awards, including Best Choreography. Wheeldon trained at The Royal Ballet School and danced with the Company from 1991–93. Since his retirement from dancing in 2000, he has created several works for The Royal Ballet including Alice's Adventures in Wonderland and Strapless, which returns to the Royal Opera House in May in a new mixed programme, The Vertiginous Thrill of Exactitude / Tarantella / Strapless / New Liam Scarlett. Wheeldon’s acclaimed one-act ballet, After the Rain also returns to the Royal Opera House this Season in a new mixed programme to celebrate contemporary ballet, The Human Seasons / After the Rain / Flight Pattern. An American in Paris opens on 4 March 2017. Tickets are available here. An American in Paris Fundraising Gala will take place on the 8 March 2017 at the Dominion Theatre. Full details can be found here or contact Helena Price on +44 (0)20 7212 9469 or helena.price@roh.org.uk. The Human Seasons / After the Rain / Flight Pattern runs 16–24 March. Tickets are still available. The Vertiginous Thrill of Exactitude / Tarantella / Strapless / New Liam Scarlett runs 18 – 31 May 2017. Tickets will become available soon. Leanne Cope retired from the company this year?? I thought she was still on sabbatical. I was waiting eagerly for her to return and dance her old roles like Clara and new ones. All the very best to Leanne and congratulations to her on her Tony Award nomination.